William of Mass Destruction: Izzy's Sizzling Summer Singalong. OK, so I may have fudged some words. 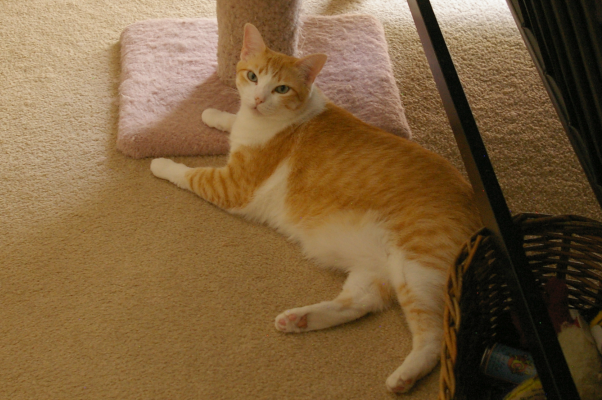 Our longtime friend Simba and his mom and dad need some purrs. If you haven't had a chance yet, please pay them a visit. Definitely best to stay inside when it's so hot outside. Oh yeah, stay close to the vents right now, furriends. MOL! We’re singing along, Izzy! Your song made me MOL, Izzy! Sweetie, those claws are awesome! That was a darn good tune! That sure was sad news from dear Simba. You have given me an ear worm now, Izzy. I am very sad that Simba's time is coming close. A good tune with a useful set of new lyrics.